Sometimes life has to slow down a bit due to injury. We may resist and fight for as long as possible — until the pain is utterly intolerable. Yet, these things happen. When a body part wears out or snaps under pressure, the best course of action is to address it and accept the fact that there will be missed opportunities during recovery. Even celebrities, who can afford the best surgeons and treatments money can buy, are not immune to the challenges that ankle surgery pose. Julie Andrews missed a golden opportunity recovering from ankle surgery. See? Celebrities ARE human! 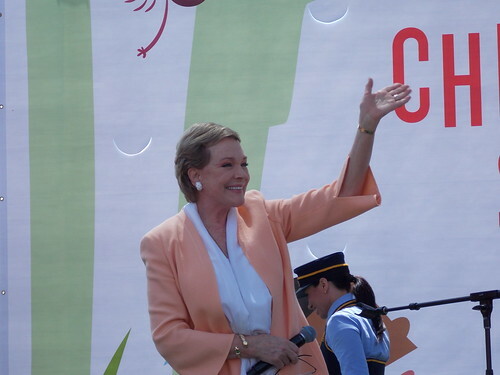 We all know and love actress Julie Andrews from her 1960s roles as Mary Poppins and Maria von Trapp in The Sound of Music. In more recent years, she was doing voice-overs for the animated films Despicable Me, Shrek 2, Shrek the Third, and Shrek Forever After, and Enchanted. She was cast in her first acting role in years, set to play Emma in the Oscar-nominated film The Wolf of Wall Street. Her plans fell by the wayside when she had to undergo ankle surgery. Julie Andrews is most well known for wholesome roles, but missed out on a chance to play a wild child in The Wolf of Wall Street, starring Leonardo DiCaprio. Sadly, the former goodie two-shoes Mary Poppins missed out on a rather outrageous role that would’ve had her abusing drugs and engaged in wild sexual proclivities, including a kiss with Leonardo DiCaprio (40 years her junior). Dame Andrews says she is fully recovered now, but she was still going through the rigmarole of rehabilitation when she was offered the part in The Wolf of Wall Street (2013). She added that it was a “really tough choice” and she “deeply regrets” missing the role — which inevitably went to Joanna Lumley — but confesses that she was having such a hard time getting around that she had no other option than to pass on the opportunity. What Is Ankle Surgery Like? We have done numerous total ankle replacement surgeries here at The Center for Podiatric Care and Sports Medicine. During the two to four-hour procedure, we make an incision on the front of the leg and insert a component made from durable titanium, cobalt-chromium, and plastic polymer. Thanks to a high-tech coating on the implant, the bone naturally fuses with the new addition to the body. A special type of cement is also used to ensure that the component does not wiggle out of place. We do our very best to minimize recovery time and scarring during all ankle surgeries and have seen terrific results with our patients. 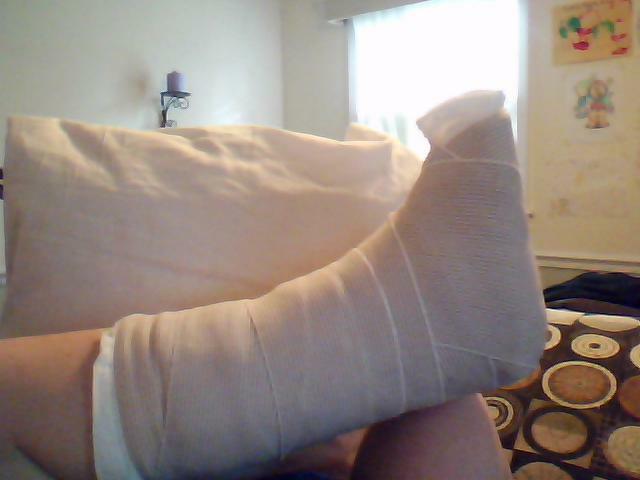 Expect a month and a half of full immobility after ankle surgery. How Long Does Ankle Surgery Recovery Take? We recommend that our patients expect six weeks of non-load-bearing activity. This means the patient is put into a short-leg cast. Crutches, a knee walker, a standard walker, or a wheelchair will be needed to get around during this time. After the initial six weeks, a removable brace is worn to further stabilize the joint. The mental aspects of spending a month and a half off one’s feet can take their toll, so it’s a good idea to listen to the advice of others when they say to make a lot of pre-op arrangements that will make life easier. Even after all the assistive devices are removed, it takes many more months of rehabilitative exercise to get the ankle back to full strength. If you need ankle surgery in NYC, contact The Center for Podiatric Care and Sports Medicine for expert care. » What Specialized Care Does a NY Sports Medicine Doctor Provide?